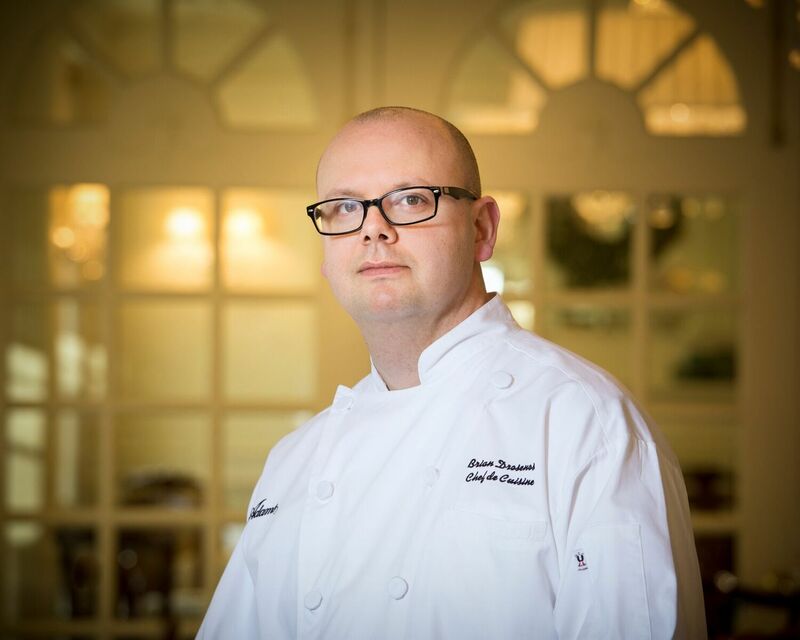 The Hay-Adams' Vice President & General Manager, Hans Bruland is pleased to announce the appointment of Brian Drosenos as the new chef de cuisine for the award-winning historic hotel. The Hay-Adams, located at 800 16th Street, NW, Washington, DC, 20006, is the residence of choice for the most discriminating visitors and diners as it has consistently been recognized as one of the top 500 hotels in the world by top-tier travel publications, including being named to Travel + Leisure’s Top 100 Hotels in the World and Condé Nast Traveler - Reader's Choice Awards “Best in the World” in 2016. In his new role at The Hay-Adams, Drosenos will be leading the culinary team in creating innovative American cuisine served in the power dining oasis, The Lafayette Restaurant, as well as the popular Off The Record bar, under the direction of Executive Chef Nicolas Legret. He has spent the last five years spearheading culinary efforts in a variety of dining establishments within Commune Hotels in California. Drosenos was most recently the executive sous chef at The Hollywood Roosevelt Hotel in Los Angeles where he was responsible for Public Kitchen and Bar, Tropicana Pool, banquets and room service. A native of Ohio, Drosenos began his career working in restaurants as a teenager. This inspired him to earn his Associates Degree in Culinary Arts from the Florida Culinary Institute in 2002. Upon graduation, he returned to his home state as chef de cuisine at Russo’s Restaurant, a popular Creole and Italian soul food oasis. In 2004, Drosenos moved to California as executive chef at The Wuksachi Lodge, the signature hotel in Sequoia National Park, where he worked under the tutelage of Certified Master Chef Roland Henin. Next in 2006, Drosenos cooked at The Portofino Hotel and Yacht Club in Redondo Beach, where he was executive chef for two years before returning to Russo’s in Ohio. Since then his notable stints include acting as executive sous chef for the Intercontinental Hotel and Conference Center, Suites Hotel and the Cleveland Clinic Guesthouse concurrently. Drosenos also was responsible for overseeing various culinary operations for Commune Hotels in California beginning in 2012, at the Santa Cruz Dream Inn, followed by The Ventana Inn and Spa in Big Sur, and The Shorebreak Hotel Huntington Beach before moving to The Hollywood Roosevelt in 2015. During the month of December, Drosenos will be featuring select truffle specials at both lunch and dinner in The Lafayette. He will be incorporating the best of these seasonal delicacies into dishes that can be enjoyed individually or as part of a four-course tasting menu.